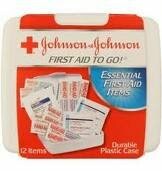 Both Target and CVS carry the Johnson & Johnson First Aid To Go kits for $1. Use the $3/3 from 8/1 SS and get them all for free! Then you can submit for the free Toy Story book!